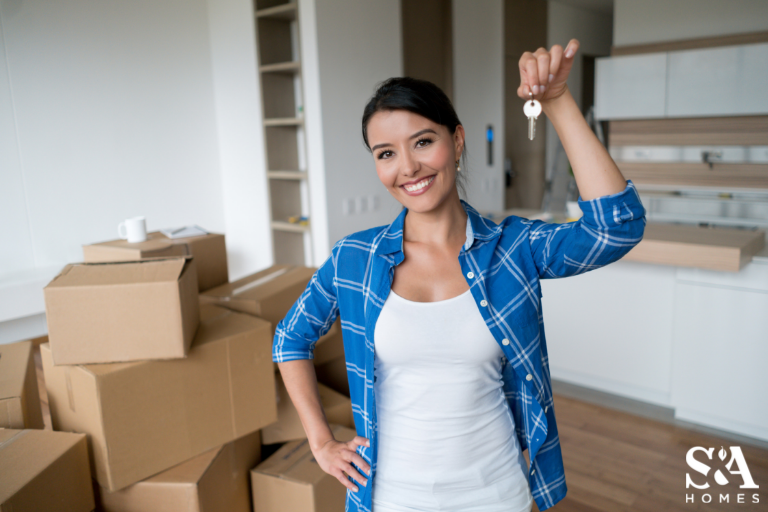 We understand the process of buying a new home, especially a first home, can be overwhelming – check out our top first-time homebuyer tips to help ease the process! Be prepared – there are several things to save up for! Owning a new home is a great investment! Over time though, routine maintenance and repairs are unavoidable and need to be addressed in a timely manner to avoid becoming costlier than originally expected. Excessive debt can hinder a homeowner’s ability to make repairs and maintain upkeep, so having a good handle on it before diving into homeownership is a good idea. Begin by looking at your credit cards, medical bills, outstanding bills, etc. – order them from highest to lowest in terms of total balance, interest rate and monthly payment, then pay off the smallest debts first. Once a month, pay off one or two balances. Once you’ve done that, take a look at your weekly spending. Do you really need a $5 latte every morning? Consider using that $5 to purchase ground coffee to make at home – that’s an average savings of $20 a week or $1,040 a year! Before beginning the house hunting process, it is important to know how much house you can afford. According to DaveRamsey.com, make sure your monthly housing costs (including HOA fees, insurance, taxes, etc.) are no more than 25 percent of your monthly take-home pay. For example, let’s say you bring home $5,000 a month. Multiply that by 25 percent to establish your maximum monthly house payment of $1,250. Keep in mind that property taxes and homeowner’s insurance will affect the monthly payment and will need to be factored in before settling on a maximum home price. Since property tax rates and the cost of homeowner’s insurance vary, check with your mortgage consultant and insurance company for estimates to calculate how much house you can afford. Click here to use a mortgage calculator for a more personalized guesstimate. Once you have determined how much house you can afford, start saving for a down payment of at least 20 percent. Meeting the 20 percent threshold means not having to pay for Private Mortgage Insurance (PMI), which protects the mortgage company in case you cannot make your payments and end up in foreclosure. PMI usually costs 1 percent of the total loan value and is added to your monthly payment. Fixed-rate loans are the most common type of loan, offering a single-interest rate and monthly payment for the life of the loan, typically 15 or 30 years. ARM loans offer a lower interest rate than fixed-rate loans for five or 10 years, but after that, the interest rate and payments will adjust to current interest rates. This type of loan serves as a little bit of a gamble – if interest rates go up, so do monthly payments, and if they fall, the monthly payment will, too. FHA loans are ideal for homebuyers with little savings for a down payment, offering a down payment rate of 3.5 percent. Most are limited to a certain amount and feature a fixed rate for 15- or 30-year terms. These types of loans require PMI, which is an additional 1 percent of the total loan value added to the monthly payment. Offered to veterans who have served 90 consecutive days during wartime, 180 during peacetime or six years in the reserves, VA Loans require no money down and no mortgage insurance requirements – but your new home must meet “minimum property requirements,” so no fixer-uppers. Designed for families in rural areas, a USDA Rural Development Loan requires no down payment and discounted interest rates with the government financing 100 percent of the home price. The only stipulation is that your debt load cannot exceed your income by more than 41 percent and PMI is required. Once you have saved for your down payment and closing costs, the next step is to get pre-approved! Take the extra step in getting a pre-approval letter from a lender before starting your new home search. This shows you are serious about purchasing a home, providing a leg-up in a competitive market. Getting pre-approved requires submitting financial information such as proof of income, taxes, etc. S&A Homes understands the chaos that surrounds purchasing a new home – especially your first one. Be sure to check out our Getting Started Guide to see an overview of the entire homebuying process from beginning to end with S&A Homes. First-time homebuyers also have an amazing selection of new homes to choose from throughout Central and South-Central Pennsylvania thanks to the S&A Homes Streamline Series! This collection of new homes puts homeownership in reach with affordable pricing, a simplified buying process and a faster build time – all while delivering the same construction quality and energy-efficiency that S&A Homes is known for! To learn more about purchasing a new home with S&A Homes or about Building On Your Land, call 1-855-SAHOME1 or click here. Missed the Tax Credit? You’ve Saved Thousands!